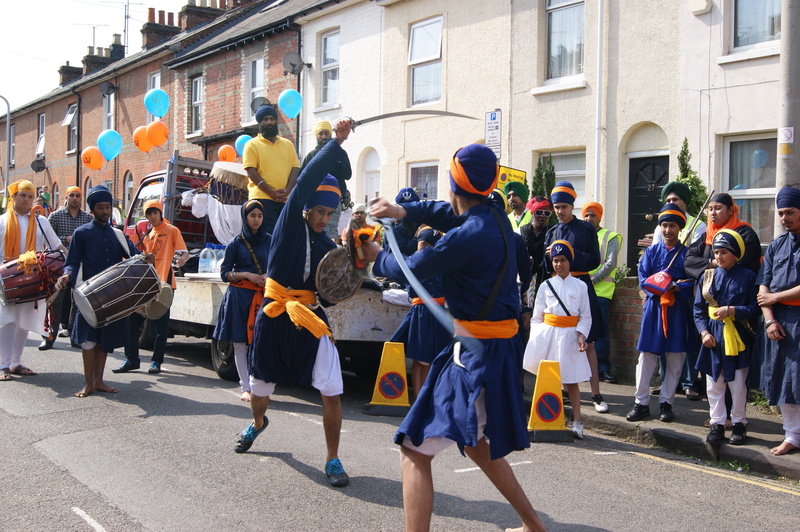 Over a thousand people took part in this year’s procession from the Sikh Temple in Cumberland Road through Park Ward. Both of Reading’s Members of Parliament, Rob Wilson & Alok Sharma were there, as were several of my councillor friends. It started with traditional displays, then prayers, before the procession set off towards Cemetery Junction and up Wokingham Road. I caught up with many friends including Mr Chema, Mr Vig & his niece, Mr Bal and Mr Hargun. The atmosphere was excellent with the drums, music & singing, there was plenty of action with the dancing & sword fighting displays. The Sikh people were extremely generous, Shenai Restaurant was one of the many businesses offering everybody sweets, vegetarian food and drinks. The collection was for the ABF Soldiers Charity which has been going for 66 years. If you missed the collection bucket, you can contribute on line! 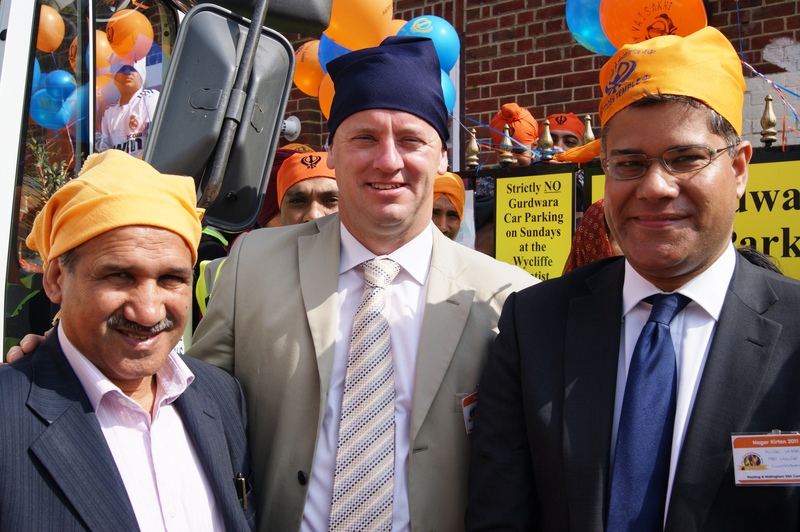 This entry was posted in Miscellaneous and tagged ABF Soldiers' Charity, Alok Sharma MP, Rob Wilson MP, Sikh New Year. Bookmark the permalink. Both I and my daughter had a brilliant time Wazir. Thanks for reminding me about it!